Conversion optimization with website landing pages isn’t exactly something you master in an hour. It takes a lot of analysis and practice, and having the right tools doesn’t hurt either. But when you combine the fact that most companies are trying to marry conversion optimization with SEO, it becomes even more difficult. Fortunately, if you look at the big picture of how a customer is thinking, you can kill two birds with one stone. They realized they want to find something- maybe a restaurant or just some information- and they go to Google to find it. The visitor starts looking at the various options presented to them. If the paid advertisements don’t capture their attention and they instead click on your site, you’re halfway there! Now the person has come to your site, thinking they’ll now be able to find what they need. All you have to do is give it to them in a manner that’s easy to read and navigate around your site. Finally, you need a call to action that converts your prospect into a customer. This is similar to the See, Think, Do Framework created by Avanash Kaushik. 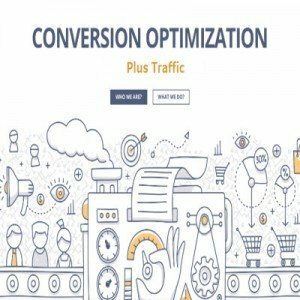 The idea is that if you follow the thinking of what a customer who takes action will do, you can better marry conversion optimization with SEO. Here are a few things to keep in mind when doing this. Surveys are one of the most powerful tools any business can have in its marketing arsenal. Unfortunately, they’re often done wrong, or are presented in such a way that the customers don’t care to help. Rather than starting from scratch, try using a tool like Clicktale. This is a tool specifically designed to help digital marketers survey customers and find out where they’re having difficulties. Some tools, like crazyegg, create a “heat map” that allows you to see where users look when they land on the site. You may be surprised to find some hot (i.e. eyeball magnet) spots in areas without any kind of call to action, whereas your buttons and most important links or ads may be in cold (rarely-looked at) areas. Even though these tools have come under fire by some, it’s still not a bad idea to know where your visitors’ eyeballs are looking. If you do find they’re looking at the wrong places, move a few things around and try again. Traffic is great, but traffic + conversion optimization is better. Don’t get so caught up in focusing on SEO that you forget the end goal- to get new customers. What Is One of the Best Web Marketing Ideas I Can Implement Now?